Please provide the following information to receive your RMA (returned material authorization). 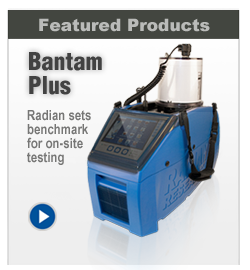 Radian offers fixed pricing on all service & calibrations. To ensure that the correct information is entered into our RMA system, please provide the following information. This information is required prior to issuing any RMA's. Your satisfaction is important to us. Obtaining the correct information at this time will greatly decrease the quantity of billing and shipping problems associated with RMA's and expedite the return shipment to you. We are pleased to offer our assistance in the timely calibration of your power and energy measurement equipment. To enable us to provide the best service to you, please provide the following information. We will use this information to proactively provide an RMA to you on an annual basis. This RMA generation is designed to provide the reminder and convenience for you to send your equipment to Radian for its annual calibration. Thank you for choosing Radian Research as your solutions partner! Your business is much appreciated! At Radian Research we are committed to total customer satisfaction for the products and services that we provide. In order to assist us in accomplishing that goal, we encourage and appreciate your comments, suggestions, complaints and compliments. Thank you for taking a few moments to comment on the quality of products and service that you received from Radian Research, Inc. This valuable feedback gives us a measure of how well we are serving our customers. Providing your contact information will allow us to better address your comments. However if you prefer you may omit your contact information and remain anonymous. Please provide the following information and click the "Send" button below. What future products would you like Radian Research to offer?